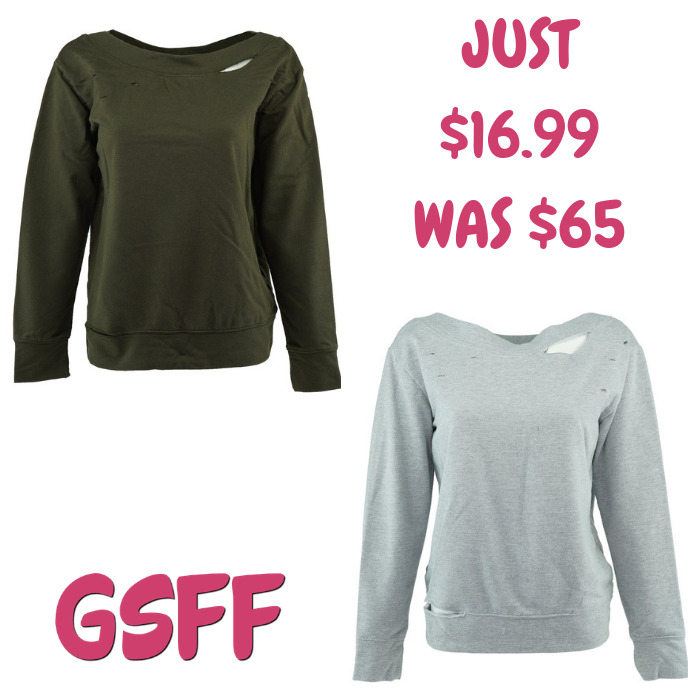 Women's Boatneck Sweatshirt Just $16.99! Down From $65! Shipped! You are here: Home / Great Deals / Women’s Boatneck Sweatshirt Just $16.99! Down From $65! Shipped! Women’s Boatneck Sweatshirt Just $16.99! Down From $65! Shipped! Proozy has this Women’s Boatneck Sweatshirt on sale for just $16.99 down from $65 when you enter promo code PZY1699 at checkout PLUS FREE shipping! Cozy boat neck sweatshirt with rips. Can be worn on the shoulder or off to one side.